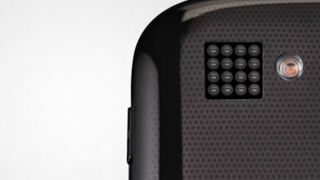 Pelican's 16-lens camera coming to Nokia Lumia phones next year? Nokia's an investor, is it the mystery OEM? On its way to Lumia? Pelican Imaging's unique 16-lens camera module for smartphones could appear in Nokia Lumia handsets as soon as next year, the company has hinted. The Finnish manufacturer beefed up its investment in Pelican this week and now the imaging start-up's boss says it is in talks with at least one manufacturer to bring the tech to market in a 2014 handset. Speaking to Engadget, Pelican's CEO Chris Pickett didn't say which manufacturers are testing the tech, but it would seem unlikely that Nokia would pump money into a company only to see others reap the benefits. Nokia has been very always been very active in pushing mobile camera tech, most recently with its PureView 42-megapixel sensors, which are reportedly coming to Lumia phones. Could they be combined with Pelican's tech too? So what's this Pelican camera and what makes it so great? Well, the camera unit features 16 individual lenses, all of which snap pictures when the shutter is pressed, while depth information is captured at every pixel. This, like the innovative Lytro camera, allows the photographer to alter the focus of the image or even have multiple focus points after the shot has been captured. Photographers can also "change backgrounds, scale any part of the picture, or combine elements from multiple photos into interesting new images," the company claims. Photos that are shared by the photographer feature all of the information necessary to download and edit on any device. The tech is certainly pretty neat and could be the biggest thing to happen to smartphone cameras in a long time.